At an altitude of 1372 meters, nestled in the Sahyadri mountain ranges, is the queen of hill stations in the state of Maharashtra, Mahabaleshwar. Although located in the Satara district, Mahabaleshwar is near to Pune. The beautiful mountain plateau is surrounded by the greenery all through and is famous for its ancient temple dedicated to Lord Shiva and its great produce of Strawberries. Infact the name comes from the temple of Lord Shiva, known as the strongest or with the greatest of strengths and power, which is Mahabaleshwar. The ambience is soothing and the jungles are still unexplored. One can engulf into many activities in wonderful serene environment still untouched by commercialization like the rest of the hill stations of India. One can go for horse riding, boating, fishing or just explore the marvels of nature. There is no authentic recorded account of the early history of Mahabaleshwar. It has, however, been ascertained that a Jadav king of Devagiri visited it in the 13th century and built a small temple at the source of river Krishna. In the mid-16th century the Maratha family of Chandarao More, became rulers of Jaoli and Mahabaleshwar, during which period the temple of Old Mahabaleshwar was rebuilt. It was also looked after the by the legendary King of the Marathas, Shivaji. But the place came into prominence only when the British came here in the beginning of the 19th century and made it there summer getaway from the humid heat of Mumbai. The deep gorges of Krishna and Koyna Rivers, the ever-gushing waterfalls and the stupendous views of the surroundings that include the magnificent ancient fort of Pratapgad are some of the major attractions of this hill station. The sister town, an another hill station named after the five rivers those are seen here, the Panchgani hill station is also an attraction for the visitors. But what allures the visitor, are the strawberry fields, which are considered to be the best in the country. The red beautiful fruit is seen all over the hill station and the visitors are allowed to experience the plucking of this beautiful fruit. 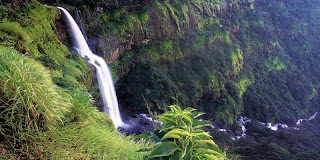 Mahabaleshwar has as many as 30 viewpoints, which offer a splendid view of different locations. It rains heavily in Mahabaleshwar and therefore other than during the monsoons the hill station is full of tourists, all through the year. Location: Located at the distance of around 150 kms is the Queen of Hill stations in Maharashtra, Mahabaleshwar. One of the most beautiful spots in the region, Venna Lake offers a number of activities right from boating to fishing.There are many other specific points in the area offering great views of the surroundings such as the Lodwick point, the Arthur point, the Babington point and Kate's point. An excursion can be taken to the nearby magnificent fort of Pratapgad and the twin hill station of Panchgani. This is the temple, which gives this exotic hill station its name. Built in the Hemadpant style of architecture, the Mahabaleshwar temple settles down in the old part of the town. The temple dedicated to Lord Shiva has a naturally formed shape of a Lingam, which is worshipped. Like many others in the area, the Lingamala waterfalls are of utmost beauty. They offer an enthralling sight and are favourite with picnickers. As the name denotes this highest spot in Mahabaleshwar offers a great view of sunrise form the cliff, which seems clinging to the mountain. This ancient temple has been built to honour the five rivers which show a token presence in the area in forms of springs which are, Krishna, Venna, Koyna, Savitri and Gayatri. These five rivers are referred to as the Panch Ganga. The temple also offers a splendid view of the surroundings. The Panorama-isle our own pleasure island. A beautiful man-made little wonder, complete with a swimming pool and 20ft. waterfall cascading down to canal which gently winds it's way around. Our paddle boats will take you on a cruise around this enchanting isle, and through a tunnel that features ….. … guess what ? Truly it's going to be a most exotic experience to you. You will not only feel pampared by our staff, but also enjoy the homely ambience of our rooms. Coming to SAJ is like entering paradise. 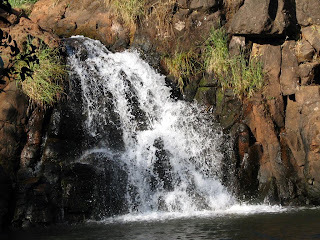 Springs and water falls abound in the area offering lovely picnic spots. The winding rides through thick foliage are an experience. If one really wants to enjoy nature in all its placid glory, it is a must for every visitor to take leisurely walks along these sylvan paths. One can also ride on ponies' backs, savouring nature's virgin viridity. Guest Satisfaction is always our top priority. Every effort is made to elevate your holiday experience at Mahabaleshwar. Indeed we are proud of our high service standards. And we'd like every guest to experience this special treatment. So, here is a guide to all our fantastic services that we provide. Click Here for Mahabaleshwar Hotel Booking.